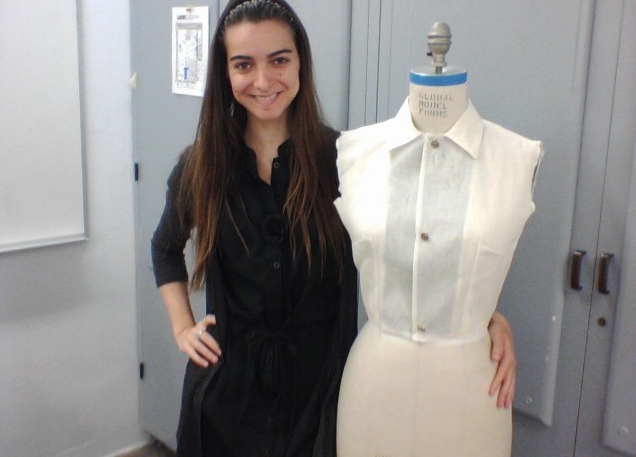 Fabulous Channel by Giselle Claudino: Sewing Sewing Friday.One more Garment Sample Done at School! Sewing Sewing Friday.One more Garment Sample Done at School! Hum... 4 hours of sewing in my pattern making class today.Here is my sleeve less sample ready. Got 46 out of 50.Not too bad! !